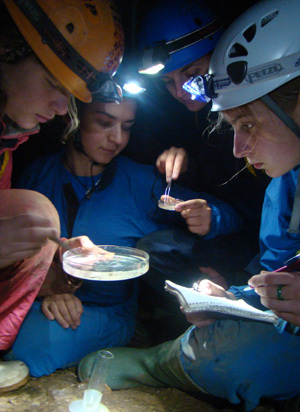 Biospeleology studies the organisms that live in caves and other subterranean environments. The National Museum of Natural History in Sofia is the only research institution involved in the long-term systematic exploration and cataloguing of the Bulgarian cave fauna. 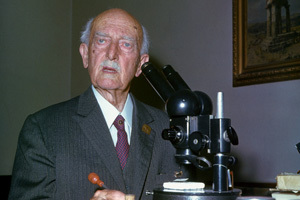 The first to find cave animals in Bulgaria was the Hungarian entomologist Eduard Merkl. In 1878 he visited some caves near the summits Kurudza and Sveti Nikola (now Stoletov) in Central Stara Planina Mountain. There, Merkl discovered three blind beetles which were described by the Hungarian entomologists Johan Frivaldzsky in 1879 as Trechus (Anophthalmus) balcanicus, Pholeuon merkli, and Ph. merkli var. simile. This discovery remained largely unknown for a long time as it was not mentioned in the descriptions that the beetles were found in caves. The systematic exploration of Bulgarian caves began in 1922. Many caves in different regions were explored by the then director of the Royal Museum of Natural History Dr Ivan Buresch and his collaborators Neno Atanasov, Pencho Drenski and Nenko Radev. Only between 1923 and 1926 tens of new troglobite species were discovered and described. First review papers on the cave-dwelling fauna of the country were published by Buresch in 1926, 1928 and 1936. 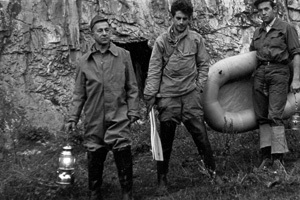 The second wave of intensive cave research activities in Bulgaria started in 1958. A new generation of biospeleologists (P. Beron, V. Guéorguiev, Ch. 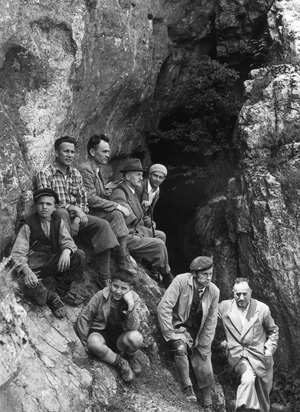 Deltshev, V. Beshkov, T. Michev, M. Kwartirnikov, A. Popov, St. Andreev) initiated field surveys in hundreds of caves. The first detailed review of the Bulgarian cave fauna was published by V. Guéorguiev and P. Beron in 1962. Subsequent additions were published by Beron and Guéorguiev in 1967 and Beron, in 1973 and 1994. Since 1995, a third generation of Bulgarian biospeleogists — P. Stoev, I. Pandurski, B. Guéorguiev, T. Ivanova, N. Simov, B. Petrov has continued the exploration of Bulgarian caves with new inspiration and knowledge. Tens of new terrestrial and aquatic taxa were collected and described. The first systematic investigation of the Mesocavernous Shallow Stratum (MSS) in Bulgaria and its fauna began in 2005. At present, a complete review of all hitherto known subterranean organisms in Bulgarian caves entitled ‘The cave fauna of Bulgaria’ is in preparation by experts from the Biospeleology Research Centre. Animals that are adapted to living in complete darkness and with limited energy supplies usually acquire a specific appearance that includes depigmentation, micro- or anophthalmy, loss of wings, elaboration of extra-optic sensory structures, elongation of appendages (in cases of troglobionts) or shortening of appendages (in case of geobionts), cuticle thinning, etc. These morphological alterations known as troglomorphy are widespread in subterranean animals. Animals are known from more than 780 caves. 800 species of animals have hitherto been recorded from Bulgarian caves. 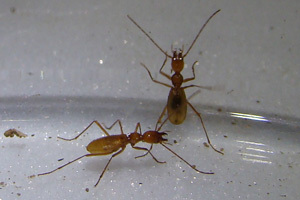 160 species are considered strict cave-dwellers (troglobites and stygobites). More than 440 biospleological papers were published. New taxa of animals are discovered or described every year. The fauna of 5200 caves remains unstudied. 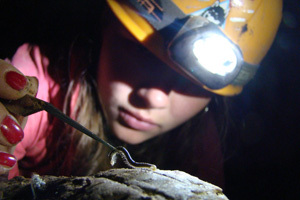 By the end of 2010, over 800 animal species have been recorded from Bulgarian caves. Among them, more than 160 species are considered troglobites. The species richest in troglobites groups are the ground beetles (genera Pheggomisetes, Duvalius, Rambousekiella), leptodirini (genera Bathyscia, Beronia, Beskovia, Hexaurus, Netolitzkya, Radevia, Rhodopiola, Tranteviella, Bureschiana, Genestiellina, Balcanobius, Beroniella, Vratzaniola), millipedes (genera Typhloiulus, Serboiulus, Apfelbeckiella, Rhodopiella, Balkanopetalum, Troglodicus, Rhodoposoma, Bulgarosoma, Bulgardicus, Anamastigona, Stygiosoma, Polydesmus, Bacillidesmus, Trachysphaera, Lithobius and Eupolybothrus) and isopods (genera Trichoniscus, Bulgaronethes, Beroniscus, Cordioniscus, Hyloniscus, Bulgaroniscus, Balkanoniscus, Vandeloniscellus, Tricyphoniscus, Bureschia, Rhodopioniscus). 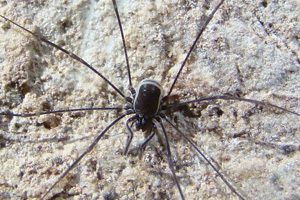 Less rich in troglobites are the spiders (genera Protoleptoneta, Centromerus, Troglohyphantes, Porrhomma, Nesticus), harvestmen (genera Tranteeva, Paralola, Siro, Paranemastoma) and pseudoscorpions (genera Balkanoroncus, Neobisium, Roncus, Chthonius). No strict cave-dwellers are known among the vertebrate animals. 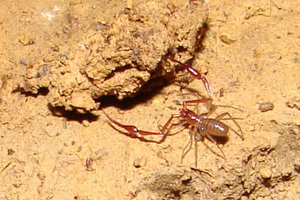 None of the invertebrate species found in the caves of Bulgaria is legally protected by the National Biodiversity Act. However, after the Habitat Directive 92/43/EEC all caves, which are not open to the public are formally declared as sites of conservation importance. Recommendation No 36/1992 on the Conservation of underground habitats adopted by the Standing Committee under the terms of Article 14 of the Convention on the Conservation of European Wildlife and Natural Habitats formulates the basic advices for protection, exploration and management of the underground habitats. Beron P. 1994. Résultats des recherches biospéléologiques en Bulgarie de 1971 à 1994 et liste des animaux cavernicoles bulgares. — Tranteeva, Sofia, 1: 1—137. Beron P., Guéorguiev V. 1967. Essai sur la faune cavernicole de Bulgarie. II. Résultats des recherches biospéléologiques de 1961 à 1965. — Bull. Inst. Zool. Mus., 24: 151—212. Beron P., B. Petrov, P. Stoev. 2011. Invertebrate cave fauna of the Western Rhodopes (Bulgaria and Greece). — In: P. Beron (ed.). Biodiversity of Bulgaria, 4. Biodiversity of Western Rhodopes (Bulgaria and Greece). Pensoft & Nat. Mus. Natur. Hist., Sofia, 583—661. [PDF]. Guéorguiev V. 1977. La faune troglobie terrestre de la péninsule Balkanique. Origine, formation et zoogéographie. Ed. Acad. bulg. Sci., Sofia, 182 pp. Guéorguiev V., Beron P. 1962. Essai sur la faune cavernicole de Bulgarie. — Ann. de Spéléologie; 17 (2—3): 285—441. Stoev P. 2001. 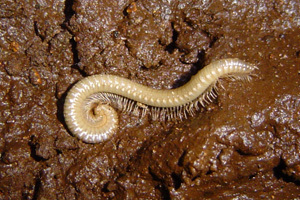 A synopsis of the Bulgarian cave centipedes (Chilopoda). — Arthropoda Selecta, 10 (1): 31—54.